The key differences between an acquisition of stock in a company and the acquisition of business assets and liabilities are as follows. In the case of acquisition of stock, the consideration paid by the buyer becomes the cost of acquisition of the stock for the purpose of calculation of capital gains on transfer of stock in the future. However, there is no step-up in the cost basis of the assets of the company whose stock is being acquired. On the other hand, subject to certain conditions, in the case of an acquisition of business assets and liabilities, the buyer can achieve a step-up in the cost basis of the assets, thereby enhancing the amortisation base of assets, including for goodwill and intangibles (discussed in detail later). Most tax holidays available to an Indian company would continue to be available despite an acquisition of stock (partial or complete) in such a company. In the case of an acquisition of specific business assets and liabilities, the benefit of the tax holiday for the unexpired period is not available to the buyer. In cases where the business is acquired as a whole, while there is a possibility of the tax holidays being available to the buyer, the position is less secure as compared to an acquisition of stock. In the case of acquisition of stock in a private company (whose shares are not traded on the stock exchange), the tax losses of the company (other than unabsorbed depreciation) would not be permitted to be carried forward and set off if the acquisition is of shares in a company carrying more than 49 per cent voting power. This limit does not apply to a company whose shares are traded on the stock exchange and in certain other scenarios such as change in shareholding of an Indian company as a result of amalgamation or demerger of its foreign parent company, provided 51 per cent of the shareholders of the amalgamating or demerged foreign company continue as shareholders of the resulting company. Amendment in 2017 provided an exception to eligible start-ups for carry forward and set-off of losses wherein all shareholders having shares with voting power continue to hold such shares in the year of set-off and such loss should have been incurred during the period of seven years from the incorporation of such a company. Amendment in 2018 provided that in the case of a company covered under the resolution plan of the Insolvency and Bankruptcy Code 2016, restrictions pertaining to a change in shareholding do not apply for the carry-forward and set-off losses. In the case of an acquisition of business assets and liabilities, tax losses are not available to the buyer unless the acquisition is approved by the court and satisfies prescribed conditions. In the case of acquisition of stock in a company, prepaid taxes and other tax credits (such as indirect tax credits including goods and services tax (GST)) would continue to be available. Under GST Rules 2017, on application, such prepaid taxes credits can ordinarily be transferred to the buyer upon an acquisition of business assets and liabilities. Further, the buyer would need to withhold taxes prior to making payment to the seller for the acquisition of the stock if the seller is a non-resident and if protection under a tax treaty is not available to the seller for such income. This requirement does not arise in the case of an acquisition of stock or acquisition of the business assets and liabilities if the seller is an Indian resident. However, this requirement would apply where the business assets and liabilities are sold by the Indian branch or liaison office of a non-resident seller. Capital gains on the sale of stock are treated as long term if the stock (shares) is listed and held for more than 12 months prior to the sale. For unlisted stock, however, the gains on transfer will be considered as long-term if the same has been held for more than 24 months prior to the sale. In the case of a sale of a business (assets and liabilities), the capital gains will be treated as long term only if the business has been carried on for more than 36 months. Similarly, in the case of sale of stock, the consideration is received directly by the shareholders, whereas in a sale of business assets and liabilities, the consideration is first received by the company and then if distributed to the shareholders, results in two levels of tax. These are capital gains tax in the hands of seller company and subsequently dividend distribution tax (DDT) in the hands of shareholders at the time of profit or dividend distribution. Although these are seller issues, they could impact the pricing of the deal from a buyer’s perspective. Acquisition of business assets and liabilities may require a no-objection certificate from the revenue authorities to ensure that the transfer is not treated as void owing to any tax demand arising from pending proceedings against the seller as on the date of transfer. A transfer is not treated as void where it is for adequate consideration. A no-objection certificate could also be required for sale of stock and is now increasingly being insisted upon by the buyer to avoid withholding tax obligations, particularly where the stock is of an offshore company with underlying Indian assets. Guidelines have been issued for streamlining the procedure for the issue of no-objection certificates (by the revenue authorities) laying specific timelines to respond to the applicant. If the no-objection certificate is either not issued by the revenue authorities or cannot be obtained owing to lack of time, the buyer could seek an indemnity from the seller pertaining to potential loss that may arise (to the buyer) for the transaction being treated as void (which is typically agreed between the parties to be an amount equal to the sale consideration paid by the buyer) or may negotiate with the seller to seek tax insurance for the above. In the case of an acquisition of shares at a price less than the fair market value (FMV) of such shares, the difference between such FMV and the consideration paid will be taxable in the hands of the recipient of the shares as ordinary income. The law was amended in 2017 to cover all categories of taxpayers (companies under the extant law) for transfer of shares of unlisted companies at value other than FMV. FMV for this purpose is defined as the net asset value of the company whose shares are being transferred, to be determined on the basis of book values of its assets and liabilities. However, certain tax neutral transfers fall outside the purview of the above provisions. The sale consideration on sale of unquoted shares is deemed to be at FMV in the hands of seller for the purposes of computing capital gains tax. Accordingly, in the case of unlisted shares, the difference between FMV and actual sale consideration shall be taxable in the hands of both buyer and seller. This will not be applicable in the case of an acquisition of business assets and liabilities by a company. A step-up in the cost basis of the business assets is only possible in the case of acquisition of the business assets of the target company on a going concern basis. The step-up would have to be justified by an independent valuation report. There are specific anti-abuse provisions, under which the step-up could be denied if the only purpose of the acquisition is to achieve a tax advantage. The excess of the consideration over the fair value of the assets is recognised as goodwill or intangibles in the books of the buyer. Intangibles (such as trademarks, patents, brand names, etc) are clearly specified to be depreciable assets under the law. The question of depreciation on goodwill has been a subject matter of litigation in India and there have been some rulings where depreciation has been allowed if the amount representing goodwill was actually on account of acquisition of certain intangibles such as customer lists, business rights, etc. The Indian Supreme Court has subsequently ruled that even goodwill simpliciter (ie, goodwill arising in case of an amalgamation as the difference between the amount paid and the cost of the net assets) is eligible for tax depreciation. The Supreme Court held that goodwill is a capital right that increases the market worth of the transferee and, therefore, satisfies the test of being an intangible asset, thereby being entitled to tax depreciation. However, even following this Supreme Court ruling, litigation cannot be ruled out in certain circumstances. In the case of acquisition of specific business assets, the consideration paid by the buyer for each asset becomes the cost of acquisition for the respective asset. In the case of acquisition of stock, the consideration paid becomes the cost of acquisition of the stock for the buyer. Accordingly, there is no step-up in the cost basis of the assets of the target company. An acquisition of business assets and liabilities in India would have to be undertaken by a company incorporated in India, since a foreign company cannot directly own assets and carry on a business in India, except through a branch office, a project office, liaison office or a wholly owned subsidiary in certain cases, subject to prescribed restrictions. Where stock in a company is being acquired, it may be preferable for the acquisition company to be established outside India. This is because an Indian company is subject to corporate tax at the rate of 30 per cent (plus applicable surcharge and cess). In addition, the distribution of dividends is subject to dividend distribution tax (DDT) at the rate of 17.65 per cent (plus applicable surcharge and cess) in the hands of the company. Also, dividend paid and the DDT thereon is not tax-deductible. The gains arising on sale of shares in an Indian company triggers capital gains tax implications in India. Further, India does not permit consolidation of profits or losses for tax purposes for the group companies. Thus, in the case of an Indian acquisition company, repatriation of profits from the target company by way of distribution of dividends could be subject to two levels of DDT (ie, first, when the target company distributes dividends to the Indian acquisition company, and, second, when the Indian acquisition company distributes dividends to its foreign parent). This dual impact is, however, relaxed in cases where the Indian acquisition company holds more than 50 per cent of the equity share capital of the target company. In such a case, the dividends distributed by the target company on which the target company has paid DDT are allowed as a deduction in the hands of the Indian acquisition company, while computing its DDT liability in the same financial year. Upon the sale of stock of the target company by an Indian acquisition company, there would be two levels of tax - first, capital gains tax on the sale of shares, and, second, DDT on the distribution of such gains as dividends. In addition, the distribution of dividends is subject to Indian corporate laws, which permit dividends only to be paid out of profits and free reserves. On the other hand, if the acquirer company is incorporated outside India, there would be one level of tax in India, in the case of distribution of profits by the target company in the form of dividends. Further, in the case of sale of the shares in the target company, one level of capital gains tax would be triggered in India. The capital gains tax incidence could be mitigated if the acquisition was made from jurisdictions such as Cyprus, Mauritius, the Netherlands and Singapore, by relying on the favourable tax treaties that India has with these countries, subject to satisfaction of the Limitation of Benefit (LOB) test and GAAR Regulations, discussed later. The substance test will vary from treaty to treaty and further upon the terms of the covered tax agreements (CTAs) under multilateral instruments (MLI). There has been significant debate in India on whether the benefits granted under the tax treaties are being abused by offshore companies resorting to treaty shopping, and the government has been engaging in renegotiation of tax treaties with some countries. Tax treaties with Singapore, Cyprus and Mauritius have been negotiated and revised, as discussed later. A tax treaty with the Netherlands is under negotiation. While having a tax residency certificate (TRC) (disclosing prescribed particulars either in the TRC itself or in a separate prescribed form) from the revenue authorities of the home country is the basic and most essential requirement for claiming a tax treaty benefit, the revenue authorities are also laying increased emphasis on the substance in the offshore holding companies set up in jurisdictions with favourable tax treaties. The India-Mauritius tax treaty was amended in May 2016 to introduce a source-based taxation of the capital gains earned by a Mauritian resident on the transfer of shares in an Indian company. 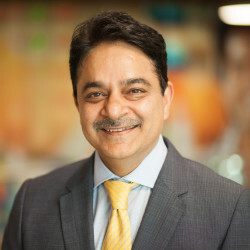 Pursuant to this amendment, capital gains arising from the sale of shares of Indian companies that are acquired and transferred between 1 April 2017 and 31 March 2019 are to be taxed at 50 per cent of the domestic tax rate (subject to satisfaction of certain limitation of benefits conditions), while capital gains arising on the transfer of shares of Indian companies acquired after 1 April 2017 and sold after 31 March 2019 shall be taxable at the full domestic tax rate. All investments made in shares of Indian companies before 1 April 2017 are grandfathered and will continue to enjoy the exemption under the India-Mauritius tax treaty. The above-mentioned amendment does not apply to any asset other than shares in an Indian company (ie, gains arising from the transfer of any other securities issued by Indian companies will continue to be exempt from capital gains tax under the India-Mauritius tax treaty). Aside from the above, the Financial Services Commission, Mauritius, has also notified requirements to be complied with by a Mauritius global business licence company - Category 1 (GBL-1) (which is the kind of company primarily used for Indian acquisitions) to be eligible for obtaining a TRC. These requirements essentially necessitate GBL-1 companies to have economic substance in Mauritius such as having office premises in Mauritius or employing a full-time Mauritian resident at a technical or administrative level or have arbitration in Mauritius, etc. Similar to the revision in the India-Mauritius tax treaty, the tax treaty with Singapore has undergone a third revision since its inception on 24 January 1994, wherein a protocol has been inserted providing for taxing the capital gains arising out of sale of shares of an Indian resident company that have been acquired on or after 1 April 2017 in India. However, the shares acquired on or before 1 April 2017 shall be outside the scope of taxation in India and shall continue to enjoy the capital gains tax benefit in accordance with the erstwhile tax treaty provisions, subject to fulfilment of revised LOB provisions. The erstwhile India-Singapore tax treaty provided for a capital gains tax exemption in India in the case of transfer of shares of an Indian company, subject to the satisfaction of the LOB condition (ie, shares of the Singapore transferor company should be listed on a recognised stock exchange in Singapore or total annual expenditure on operations in Singapore should be equal to, or more, than S$200,000 in the immediately preceding period of 24 months from the date the gains arise). Transitional provisions have also been notified wherein a relaxation of up to 50 per cent of capital gains tax has been provided to capital gains arising on the transfer of shares acquired after 1 April 2017 but before 31 March 2019 (ie, the transition period), subject to revised LOB provisions. Under the revised LOB provisions, the expenditure threshold shall be applied during the period of 12 months immediately preceding the date of gain. The government had classified Cyprus as a notified (uncooperative) jurisdiction in 2013. However, subsequent to revision of the bilateral tax treaty on 18 November 2017, the government rescinded its notification. The amended India-Cyprus tax treaty provides for source based taxation of capital gains arising from sale of shares in the source country. Grandfathering provisions have been introduced pertaining to gain on sale of share investments made prior to 1 April 2017, in respect of which capital gains will continue to be taxed in the country of residence of the taxpayer. No LOB clause has been notified in the revised tax treaty. Finance Act 2012 introduced the General Anti-Avoidance Rule (GAAR), which came into effect from 1 April 2017. GAAR provisions could apply if an arrangement is declared an ‘impermissible avoidance arrangement’; in other words, an arrangement the main purpose of which is to obtain a ‘tax benefit’, and which satisfies certain other tests. The GAAR provisions effectively empower the revenue authorities to deny the tax benefit that was being derived by virtue of an arrangement that has been termed ‘impermissible’. Further, the GAAR provisions lay down certain scenarios in which an arrangement or transaction would be deemed to lack commercial substance if the situs of an asset or a transaction, or one of the parties to the transaction, is located in a particular jurisdiction only for tax benefit. Thus, interposing special purpose vehicles in a tax-friendly jurisdiction, devoid of any commercial substance or rationale, would be one practice that the revenue authorities would seek to challenge through GAAR. As per recent Central Board of Direct Taxes (CBDT) Circular No. 7 issued on 27 January 2017, where anti-avoidance rules (LOB) exist in a tax treaty, GAAR provisions should not be invoked in cases where such LOB provisions sufficiently address tax avoidance. Recently India signed MLIs in support of the OECD’s BEPS Action Plan 15. India opted for Simplified LOB (SLOB) and Principal Purpose Test (PPT) for all its CTAs. PPT is broader than Indian GAAR since under the Indian GAAR provisions, the ‘main purpose’ of an arrangement is to obtain tax benefit. As opposed to this, the PPT test is broader covering ‘one of the main purposes’ of entering into an arrangement is to obtain treaty benefit, as the decisive factor for identifying treaty abuse. Further, the PPT test has a carveout wherein treaty benefit is granted to a transaction if such benefit is in accordance with the object and purpose of the relevant tax treaty. investments made prior to 1 April 2017. The Finance Act 2012 introduced a retrospective provision for Indian taxation on any gains from transfer of shares (or interest) of an offshore company or entity that derives value substantially from assets located in India (indirect transfer provisions). CBDT issued a clarification in May 2012 directing no reopening of cases on account of indirect transfer transaction where the tax assessment stands completed and no reassessment notice was issued before 1 April 2012. Further, on 28 August 2014, a committee was formed comprising senior officers of the CBDT, namely the joint secretaries (FT&TR-I and TPL-I) and Commissioner of Income Tax (ITA) with the director (FT&TR-I). Mergers and demergers are preferred forms of acquisition in India. This is primarily due to a specific provision in the tax law that treats mergers and demergers as tax-neutral, both for the target company and for its shareholders, subject to the satisfaction of the prescribed conditions. transfer of prepaid taxes and other tax credits from the target company to the acquiring company is permitted in certain cases. However, the ability to achieve a step-up in the cost basis of the assets is difficult in both mergers and demergers. Further, these involve a court or National Company Law Tribunal (NCLT) approval process, and, therefore, are at present time-consuming. The government of India under the Companies Act 2013 (the Act) replaced the Companies Act 1956 with effect from 29 August 2013. The NCLT was constituted with effect from 1 June 2016, subsuming functions of four corporate regulatory bodies, namely the Company Law Board, High Court, Board of Industrial & Financial Reconstruction and the Appellate Authority for Industrial and Financial Reconstruction. The NCLT deals with all business reorganisations and acts as a single window approving authority for all business reorganisation schemes. Further, the Act specifically provides for simplified and faster processes for mergers and demergers for specified ‘small private companies’ and between holding and wholly owned subsidiary companies, whereby central government’s approval is sought and the requirement to approach the NCLT for approval is absolved, subject to fulfilment of prescribed conditions. In the case of mergers and demergers, issuing stock as a consideration instead of cash consideration ensures the tax-neutrality of such mergers and demergers, subject to fulfilment of prescribed conditions. Apart from the above, there is no tax benefit to the acquirer in issuing stock as consideration instead of cash. There could be tax implications in cases where shares are issued at a price less or more than the FMV. In the case of shares issued at a premium to Indian residents (and not to non-residents), the issuer company could be made liable to tax for the amount of the premium received in excess of the FMV of the shares. The FMV for this purpose is a value that is the higher of the book value of the assets and liabilities of the issuer company determined as per the prescribed manner or the FMV of the stock determined by a merchant banker or an accountant as per the discounted cashflow method. This tax does not apply to venture capital undertakings issuing shares to a venture capital fund registered with the regulatory authorities in India. In the case of issue of shares at a price less than their FMV, such FMV or the difference between the FMV of the shares received and the asset given up could be brought to tax in the hands of the recipient of the shares as ordinary income. FMV for this purpose is defined as the net asset value of the company issuing the shares, to be determined on the basis of book values of its assets and liabilities. All forms of business acquisitions involve transaction taxes in some form, though the nature, incidence and quantification of the taxes vary. Typically, these include stamp duty, GST, etc. The Indian government has introduced GST with effect from 1 July 2017. Stamp duty is payable on execution of a conveyance or a deed. GST is an indirect tax that subsumes an array of indirect taxes, namely excise duty, service tax, value added tax (excluding stamp duty) and is payable on the supply of goods and services. Who bears the stamp duty is negotiated between the buyer and the seller, although it is common for the buyer to bear it. GST, being an indirect tax, is normally collected from the seller and paid or borne by the buyer. Depending on the facts, the buyer may be able to offset the GST paid against its output GST liability, if any. The impact of transaction taxes and applicable rates for different forms of acquisition are given below. Transfers of shares in a company are liable to stamp duty at the rate of 0.25 per cent of the value of the shares. However, no stamp duty is levied where the stock is held in an electronic form with a depository (and not in a physical form). Securities transaction tax (STT) is applicable on purchase of shares listed on a stock exchange. There is no GST on the sale of shares since definition of ‘goods’ and ‘services’ under GST regulations excludes ‘securities’. Acquisition of business assets as part of an acquisition of an entire business undertaking does not attract GST. GST should not apply on the sale of a business as a whole as an undertaking on a going-concern basis. Stamp duty would apply on specified movable property like ‘towers’ and immovable property if the transfer is undertaken by way of a conveyance. Stamp duty is a state levy and the rate of stamp duty would differ depending on the nature of the assets transferred and their location. Generally, however, stamp duty is payable only on the immovable property transferred on the basis that the movable property is transferred by way of physical delivery. In the event of an acquisition of specific business assets, GST would be applicable on the transfer of movable assets. The rate of GST would depend on the nature of the assets and would vary within a range of 12 to 28 per cent. However, input tax credit for the same should be available to the payer (depending on the nature of the asset). The stamp duty implications would be the same as discussed above. In most states, mergers and demergers attract stamp duty. The stamp duty is normally based on the value of shares issued as a result of the merger or demerger and the value of the immovable property transferred, pursuant to such a merger or demerger. Unabsorbed business losses are allowed to be carried forward and set off for a period of eight years from the year in which they are incurred, while there is no time limit for carry-forward and set-off of unabsorbed depreciation. Change in shareholding of a closely held company (ie, a private company whose shares are not listed on a stock exchange) by more than 49 per cent of shares carrying voting power in any year would result in such unabsorbed business losses not being eligible for carry-forward and set-off in the future. However, it does not affect carry-forward and set-off of unabsorbed depreciation, if any. Also, there is no impact in certain other scenarios such as a change in shareholding as a result of amalgamation or demerger of a foreign parent provided 51 per cent of the shareholders of the amalgamating or demerged foreign company continue as shareholders of the resulting company. Tax credits (such as minimum alternate tax) or deferred tax assets are not impacted by a change in control of the target or upon its insolvency. An exception has been made for eligible start-ups for carry forward and set-off of losses subject to the condition that shareholders having shares with voting power continue to hold such shares in the year of set-off and such loss should have been incurred from seven years of incorporation of such company. Furthermore, in the case of companies covered under the resolution plan under the Insolvency and Bankruptcy Code 2016, restrictions pertaining to a change in shareholding do not apply for such carry-forward and set-off of losses. The deductibility of interest on acquisition finance used by the acquisition company to acquire stock in a target company would depend on the characterisation of income received from the target company; in other words, ordinary income versus investment income. Further, as a general rule under the domestic tax law, where any expense is incurred for earning tax-exempt income, no deduction is allowed for such expenditure. Recently, the Supreme Court in the case of Maxopp Investment Ltd v CIT (Civil Appeal Nos. 104-109 of 2015) held that if a taxpayer acquires shares of a company to gain controlling interest over the company and earns exempt income, the portion of the expenditure attributable to such exempt income should be disallowed. However, if the taxpayer holds the shares as stock-in-trade, then income earned shall be business income. Accordingly, expenditure incurred in relation to such income shall be deductible as a business expenditure. In the event of acquisition of business assets, whether in the form of a business as a whole or specific assets, the interest on borrowings, which is relatable to a capital asset, should be capitalised as the cost of the asset, while the interest payable on an ongoing basis should be allowed as a deduction, as such expenses would be incurred for the purposes of the business of the acquisition company. Payment of interest by an Indian company to a foreign party that is a related party would be subject to Indian transfer pricing regulations, thin capitalisation provisions and restrictions under exchange control regulations. Under exchange control regulations, foreign loans are subject to maximum interest-rate ceilings on repayment schedules and end-use restrictions, such as the proceeds not to be used for on-lending, investment in a capital market, acquiring a company or a part thereof, repayment of an existing rupee loan and real estate (excluding development of integrated township as defined in the regulations). In the case of foreign-related party loans, arm’s-length interest is allowed as a deduction. With effect from 1 April 2017, taxable deduction of interest expenditure claimed by an Indian company in excess of 30 per cent of earnings before interest, taxes, depreciation and amortisation (EBITDA) of such a borrowing Indian company shall not be allowed. Such disallowed interest can be carried forward up to the next eight years, to be allowable as deduction against future taxable income provided the deduction is maintained. The strict source-based rule is applied for taxation of interest in India. Generally, the interest payable by a resident is taxable in India. However, in certain cases, interest payable by a non-resident is also taxed in India if it is payable in respect of any debt incurred for the business or profession carried on in India by such person. Thus, the interest payments made from India would be liable to tax in the hands of the recipient and would, therefore, be subject to withholding tax implications. The rate of withholding tax would depend on whether the borrowing is in foreign currency or in Indian currency. In the case of monies borrowed in foreign currency before 1 July 2020, the rate of withholding tax would be 5 per cent (plus applicable surcharge and cess) on the gross amount. The withholding tax rate is more beneficial as compared to the treaty rate (at 7.5 to 15 per cent under various treaties). Interest payments on monies borrowed in Indian currency would be subject to withholding tax at the rate of 10 per cent (plus applicable surcharge and cess) on a gross basis. Debt pushdown for offshore financing for acquiring an Indian company or business assets is not feasible due to Exchange Control restrictions and thin capitalisation rules. On the other hand, debt pushdown by way of local financing (through banking institutions) procured by an Indian company for acquiring either stock or a business asset is not common due to restrictive banking and corporate regulations. Accordingly, careful planning and structuring is required for achieving tax optimised debt pushdown. In the case of a stock acquisition, the seller normally warrants that the target has been compliant with all tax matters and that all disputed matters are either provided for or otherwise disclosed. An indemnity is provided if there are any tax dues that arise over what is disclosed and the seller shall indemnify the buyer for such claims. Since tax dues can arise several years later, indemnities are provided for a seven-to-10-year period, often without any monetary cap unless they are quantifiable. To implement the indemnity, part of the consideration could also be placed in an escrow account particularly if a claim of tax administration is imminent. These aspects are documented in the share purchase agreement entered into between the parties. The buyer could also insist that the seller obtains a nil tax withholding order from the revenue authorities for tax withholding on consideration for such a sale, particularly in cases where the seller is claiming capital gains tax exemption under a favourable tax treaty or where tax on an offshore acquisition of shares with underlying assets are exempted due to the threshold. In the case of an acquisition of assets and liabilities, the warranties and indemnities are less stringent, since the buyer does not acquire control over the selling company itself, and any tax dues would fall upon the selling company. The sale agreement should contain a general indemnity clause for indemnifying the buyer against representations and undertakings made by the seller. Besides, a specific indemnity clause can also be placed indemnifying the buyer against any action that the revenue authorities may take on the buyer or assets acquired by such a buyer (or both). It is also common for the buyer to insist that the seller obtain a no-objection certificate from the revenue authorities for the sale of the assets (discussed earlier). Payments made pursuant to a claim under a warranty or an indemnity are not liable to tax (for the recipient) if they are treated as a capital receipt and, hence, are not subject to withholding taxes. However, if the indemnity relates to a ‘profit earning activity’, it may be taxable in the hands of the recipient and subject to withholding taxes. The payer of the claims is unlikely to be able to claim the amounts paid as a deduction against its income on the sale of the stock or assets and liabilities. Post-acquisition restructuring would depend on the commercial and business objectives of the buyer. Consolidation with other subsidiaries operating in India is often implemented. This is done by way of merger or reverse merger, slump sale or business transfer. Streamlining and alignment of the transfer pricing methodologies is an important post-acquisition step. A tax-neutral spin-off of a business can be achieved by way of a court or tribunal-approved demerger. The concept of ‘undertaking’ is broadly understood as an independent business activity operating as a separate division comprising its independent assets, employees and contracts. Based on principles laid down by courts in India, an ‘undertaking’ would basically mean a separate and distinct business unit or division set up with identifiable investment and capable of being run and operated on a stand-alone basis. A demerger that satisfies the above conditions is tax-neutral and the unabsorbed losses and depreciation pertaining to the transferred undertaking are allowed to be carried forward and set off by the resulting company for the unexpired period. Transfer taxes as discussed in question 6 apply even in the case of demergers. Under Indian tax law, a company incorporated in India is always treated as a resident and taxed on worldwide income. Indian laws do not permit migration of residence of an Indian company to any other jurisdiction. However, an Indian company could have dual residential status and may be treated as a resident in another country. In such a case, the residential status of the Indian company would be determined as per the ‘tie-breaker rule’ provided under the tax treaties. A foreign company can be treated as an Indian resident if its place of effective management (POEM) during the year is in India. POEM has been defined to mean the place where key management and commercial decisions that are necessary for the conduct of the business of the foreign company as a whole are, in substance, made. The concept of POEM for determining residential status of a foreign company was introduced in the law from 1 April 2016. The guidelines provide for test of ‘substance over form’ for determining POEM application. The active business outside India (ABOI) test has also been prescribed for determining POEM. For companies that do not meet the ABOI test, POEM determination is based on identifying or ascertaining the person or persons who actually make the key management and commercial decisions and the place where such decisions are made for conducting company’s business. Location of the board of directors, delegation to committees, location of company’s headquarters, place of residence of decision-makers or place of decision making are other important factors of determination of POEM in India. The law provides that if determination of POEM under tax treaty tie-breaker rules poses a conflict, it will be deemed that POEM is in India. All interest payments by residents are liable to withholding tax unless such interest is paid for business carried out outside India. Interest payments by non-residents are liable to tax if they are made in relation to business carried out in India. Under the domestic tax law, the withholding tax is 20 per cent (plus applicable surcharge and education cess) on gross interest in the case of foreign currency loans. In cases where the monies are borrowed in foreign currency, before 1 July 2020 (subject to satisfaction of certain conditions), a lower interest rate of 5 per cent (plus applicable surcharge and education cess) on a gross basis shall be applicable. Interest received from an Indian rupee-denominated debt would attract withholding tax at a rate of 5 per cent (plus applicable surcharge and education cess) on a gross basis. Dividends distributed by Indian companies are exempt from tax in the hands of the shareholders; hence, no tax withholding applies. Finance Act 2016 brought to tax dividends in excess of 1 million rupees received by all taxpayers other than Indian companies and specified trusts and institutions at 10 per cent. Further, the company paying dividends is subject to DDT at the rate of 17.65 per cent (plus applicable surcharge and education cess) of the gross dividends. No treaty benefit is available under DDT. India has a concept of ‘deemed dividend’ wherein certain forms of payment (out of accumulated profits) such as distribution on liquidation or release of any part of assets of the company on reduction of share capital, etc, are considered as deemed dividend and subject to DDT. In 2018, the law was amended to clarify that accumulated profits would include all profits belonging to the amalgamating and amalgamated companies as a result of past consolidations. Buyback of shares by a company was considered as a common tax-efficient means of extracting profits. As a general rule, the domestic tax law specifically provided that the proceeds received under a buyback will not be treated as dividends; instead they will be characterised as capital gains. Therefore, in cases where the shares in an Indian company are held by a foreign company, and if the relevant tax treaty provides that capital gains shall not be liable to tax in India, share buyback was an attractive option for repatriation of profits. In 2013, the introduction of buyback tax (BBT) at the rate of 20 per cent (plus applicable surcharge and cess) made such buyback tax inefficient for unlisted companies. In 2016, buybacks even under court-approved schemes attracted BBT. The BBT is levied on the ‘distributed income’, representing the difference between consideration paid to the shareholders on the buyback of the shares and the amount received by the company on the issuance of such shares (irrespective of the amount the shareholder may have paid for acquiring the shares, in the event of a secondary acquisition). No treaty relief is available against BBT. If the shareholder subscribed to the shares at a premium, then buyback of shares may also be made at a premium without triggering adverse tax consequences, to the extent that the buyback price is not higher than the subscription price. In a cross-border situation, disposals are most commonly carried out by a sale of stock in the foreign holding company or a direct sale of the stock in the local company. In the Finance Act 2012, India introduced a retrospective amendment (with effect from April 1961) to tax indirect transfer of Indian assets implemented by way of transfer of shares in an offshore company by treating such offshore company shares as assets situated in India. This provision would be triggered if the offshore company’s shares derive their value substantially from assets located in India. The same has been discussed in question 3. Such taxability of transfers in offshore holding companies with underlying Indian assets had been a matter of intense debate The retrospective amendment seeks to nullify the ruling of the Supreme Court in the Vodafone case to make all indirect transfer of Indian assets liable to tax. However, tax treaty relief would continue to be available to the non-resident seller. In one ruling, the High Court in the case of Sanofi Pasteur Holding SA (2013, 354 ITR 316) [Andhra Pradesh] upheld the availability of relief from tax on indirect transfers under the India-France tax treaty. The revenue authorities have appealed this ruling before the Supreme Court of India. Where both the buyer and the seller are resident in India, disposal by way of sale of business assets is also common. Under the domestic tax law, gains on disposal of stock in an Indian company by a non-resident company are liable to tax. Gains arising on transfer of listed stock held for more than 12 months is characterised as long-term, whereas gain arising from listed stock held for 12 months or less is characterised as short-term. For unlisted stock, the threshold period is 24 months for characterising the gain as long-term. Short-term gains arising on the sale of shares of an unlisted company are subject to tax at the rate of 40 per cent, whereas long-term gains on sale of unlisted securities are subject to tax at the rate of 10 per cent (without indexation and exchange rate difference). For listed-company equity stock, short-term gains are subject to tax at the rate of 15 per cent where shares are sold on the floor of the exchange. Long-term gains on the disposal of equity shares of a listed company on the floor of the exchange are subject to 10 per cent tax under the domestic law. In addition to tax at the above rates, it is required that surcharge and cess, as applicable, be paid. The buyer is required to withhold taxes at the rates prescribed under the domestic tax law or the tax treaty law, whichever is lower, from such sale consideration to be paid to the non-resident seller. In the case of a failure to withhold taxes at applicable rates, the revenue authorities could initiate proceedings against the buyer and seek to recover the amount of short tax withheld. Withholding tax proceedings against the buyer are independent of the proceedings initiated against the seller. The buyer could be liable to pay interest at the prescribed rates on the amount of tax ought have been withheld as well as a penalty that is equivalent to the amount of such tax. We have discussed the capital gains implication on disposal of shares by a resident of a treaty country with which India has a favourable capital gains regime in article 3. We have also discussed the change triggered owing to change in the treaties with Mauritius, Singapore and Cyprus and implications under the GAAR law. There are no specific provisions for real property, energy and natural resource companies in respect of capital gains taxation. Gain arising on transfer of equity shares of a listed company (after holding them for more than 12 months) on the floor of the exchange are subject to a concessional capital gains tax rate of 10 per cent provided STT is paid. On the other hand, in case of sale of business assets, capital gains tax (for companies) on the gain arising on transfer of immovable property (after holding them for more than 24 months) is considered long term and taxed at 10 per cent, subject to indexation benefit. Gains up to 5 million rupees can, however, be sheltered by investments in bonds. 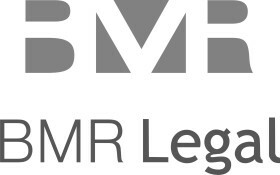 BMR Legal is a boutique tax and transfer pricing law firm with expertise in the area of policy, disputes, transaction advisory and acting as expert witness on treaty and transfer pricing law. Besides, the firm advises clients on alternate dispute resolution mechanism in the area of double tax treaties and by way of representations before various forums including the Advance Ruling Authority, Tribunal, High Court(s) and the Supreme Court of India.